Trichology is the science of Human Scalp & Hair in health, disease and distress. This course provides a vehicle to qualification as a Trichologist within the parameters of TTS. Successful students will be elected to Licentiateship and be entitled to use the post-nominal letters LTTS. The Society extends a warm welcome to prospective students, and invites them to examine this high-level training program leading to qualification in Pure – Trichology and Licentiateship (Registered Practitioner Membership) of The Trichological Society (TTS). Courses are conducted through private research in accordance with an individual syllabus (provided), writing up academic standard essays in the students own words and transmitted (via email) to their mentor for marking by examiners. As TTS does not provide a brochure (its comprehensive website is considered a greater facility), the following overview is intended to assist you. Please email the Director of Education to discuss any points which are unclear. 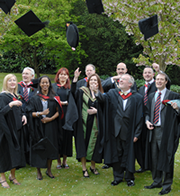 TTS Education facility set at UK degree level is the highest standard within this discipline – worldwide. Students at enrolment are expected to have attained a good standard of general education, and preferably higher education to degree level or beyond. The minimum acceptable qualification will usually be ordinary and advanced level school leaving certificates (or equivalent) in appropriate subjects e.g. Biology, Chemistry, English. Students who do not possess these will be expected to acquire them contemporaneously at their local College of Further & Higher Education. • Professional Qualifications in appropriate subjects – appraisal on application. To enroll as a student member e-mail the Registrar. 20 essays during each academic year at a constant rate of 2 essays per month (except December and August when examiners are on vacation). The Society does not mark more than 2 essays per month. A student who is unable to provide two essays on certain months should contact his/her mentor immediately. TTS courses operate on a home study basis, together with appropriate clinical experience acquired at established practices/medical institutions, on a Credits Accruement Basis similar to Open Universities. A student’s rate of progression may be tailored to suit his/her individual aptitude and available time. Ideally the course will be of two-three year’s duration. Students who find difficulty in acquiring the high level of hands-on experience at a specialist clinical practice of the right calibre will be offered periods of condensed practical experience in London in October or May each year. Please feel welcome to e-mail the Director of Education or telephone the Registrar (01708 728980) on this or any other area of difficulty. · The Academic Assignments: the requirement is an obligatory minimum of 60 credits (credits will be awarded in advance only where the actual subject matter has been part of a previous degree course). · Practical experience: the requirement is an obligatory minimum of 40 credits. · Up to 5 Credits may be awarded for impressive aptitude and attitude demonstrated at tutorials and seminars etc. · Final dissertation up to a maximum of 20 credits. · Final year: Viva Voce and practical examination up to a maximum of 30 credits. · To be presented by e-mail direct to the mentor. · To be extensive academic works, and where possible containing pictures. · To be researched using Internet, libraries, textbooks and written up in the students own words. · To contain explanations of all scientific/medical words and terms used. · To include bibliography (references to any author’s and publishers whose work is reproduced). The final year’s dissertation shall be of 8000+ words embracing a trichological subject of the student’s choice (max. 20 Credits). Dissertations are appraised by outside examiners of appropriate academic standing appointed by the Society. TTS annual academic course fee is currently £1500 (GBP). This includes the setting and marking of 20 assignments per year at the rate of 2 per month (excluding December and August) but excludes expenses involved with travel and hotels associated with visits to London UK for clinical experience. The annual fee once paid is non-returnable in the event of the student withdrawing from the course. Courses may commence on the first day of any month. It must be stated at the onset that this course is demanding for any and every student. Gaining the LTTS diploma (set at the highest academic standard within the discipline-worldwide) will require determination and tenacity. This is an overview of the 2009-2010 syllabus. Other items may be added. Each of the subjects herein should be researched by the student using carefully chosen Internet resources and the recommended textbooks, written up as academic standard essays in their own words and submitted via e-mail to your Academy. All essays relative to scalp and hair conditions/diseases must (where possible) include aetiology, diagnosis and prognosis together with any recommendations as to treatment regimes and be submitted to an examiner for approval and accreditation. Where examiner’s comments suggest further work is required on any essay, the student should do so as a matter of priority. TTS London requests students to present 20 essays (no more) per academic year on the basis of two per month (not December or August – UK holiday seasons). This course which usually takes 2-3 years can be extended if required. All essays will attract valuable credits and collectively create the students own personal textbook for future reference. This material will also be used as a basis for the viva part of their final examination – so they are urged to revise each marked essay regularly in order to commit the material to memory. They can never do too much revision. Their success as a professional will depend on their skill and ability to recall academic information accurately. There are no words guides given but all essays must be comprehensive and of high academic standard. The Assignments students with previous medical training will omit the first 6. Each of these titles constitutes a major assignment which will take time to research effectively and fully to satisfy TTS academic standards as previously described herein. Too much information is never criticised. Remember that a diagram or picture can paint a thousand words. The heart – the physiology and function of the heart together with an overview of the cardio-vascular system. The skeletal system – an overview of the skeletal structure with a detailed description of the bones of the face and cranium. The Hair. This extensive work will include a detailed morphology, in-depth accounts of physical structure, growth cycles and follicular re-genesis, changes at puberty, pigmentation, genetic factors, natural curl, density and other specific characteristics but exclude diseases which will each be the focus of future individual assignments. The Nails include a detailed account of physical structure, growth cycles. Mention pigmentation and diseases (with photographs). Many of the titles in this section constitute a major assignment which will take time to research effectively and fully to satisfy TTS academic standards as previously described herein. Too much information is never criticised and a diagram or picture can paint a thousand words. The ‘words guide’ where given is only a guide, material will always vary in length according to individual composition style. Whereas it is not possible to present patients with every such condition to students, it is important that each undergoes as much clinical experience training as possible. This may present problems in areas without such access and for overseas students. In such cases reliance must be placed on the plethora of photographs which are available in certain books and the internet. Androgenic and androgenetic alopecias in males and females. Herpes (Shingles), Lichen Planus (Planopilaris), Lupus Erythematosus (discoid & systemic), Pemphigus (Tufted Folliculitis), Pseudo-pelade (Brocq) , Traction Alopecia. Eczemas – with special reference to scalp and effect on hair. Hair breakage associated with deformity e.g. Trichokinesis, Trichorrhexis Nodosa, Monilethrix, Plica Polonica, Trichonodosis, Idiopathic Trichoclasia, Trichokinesis, Trichoptilosis, Trichosporosis. (Include graphic descriptions of each together with recommendations as to treatment regimes – include photos where possible. Hairfall associated with eating disorders (bulimia, anorexia nervosa)..
Impetigo with special reference to scalp and effect on hair. Pemphigus with special reference to scalp. Pityriasis (‘Seborrhoeic dermatitis’) with special reference to scalp and effect on hair. (Include graphic descriptions of each together with recommendations as to treatment regimes – include photos where possible. Dermatophytosis Capitis (Ringworm) with special reference to scalp and effect on hair. (Include, details of anthropophilic and zoophilic fungi, (microspora, trichophyta, epidermophyta). Urticaria with special reference to scalp and effect on hair. Vitiligo with special reference to scalp and hair.. Medicines: An overview of OTC BHC POM medicines. Include an in-depth description of the families of drugs (e.g. antibiotics, steroids, homeopathic, chemotherapeutic etc) together with details of any known responses (advantageous/disadvantageous) relative or potentially relative to hair / scalp. Biochemistry: (explaining briefly the structure and function of cellular components in living organisms) the work should include an overview of the structure of cellular components including carbohydrates, lipids, nucleic acids, proteins, polymers, monomers, proteins, amino-acids, carbohydrates, vitamins, fungi and other micro-organisms. Bacilli: Demonstrate a clear understanding of staphylococci and streptococci. Mention other members of the Kingdom ‘Bacteria’. Give examples of disease (especially to scalp follicles) associated with any of these and suggest appropriate action. Surfactants Chemistry: Demonstrate a clear understanding of the chemicals used in the manufacture of shampoos and the national laws governing the formulation and manufacture. Mention known adverse reactions to hair-shafts or scalp. Hair damage due to chemical and physical procedures viz bleaching, dying, permanent waving, hair relaxing, extensions, braiding corn-rowing etc. Hairdressing chemistry explaining the chemical processes involved with current techniques employed in hairdressing. This will include detailed explanations of the chemistry and the physiological changes and potential damage to the hair shafts and skin following bleaching, tinting, permanent waving, relaxing. The Internet link to some of the world’s university medical colleges. Gray’s Anatomy (Barnes & Noble) or other reputable Anatomy and Physiology volume. Disorders of Hair Growth Diagnosis and Treatment by Elise A Olsen (2nd Edition) – if currently available!
. Practice management. (Certain of these subjects can only be satisfactorily studied in a clinical environment). Hairdressing chemistry. TTS may agree to exclude subject matter included in a student’s previous degree course. All UK students are expected to participate in at least 24 working day practical sessions in pure trichology per year at a recognised clinical/training establishment throughout the duration of the course (Credits = 1 per session). Validation is required for any credits award. For Non-UK students who do not have access to a trichology practice/dermatology unit/ recognised by The Society, essential experience may be acquired at The Society’s registrar’s clinic in London over a 2 week intensive period (October or May) during each year of study (reasonably priced accommodation in Greater London can be arranged via YMCA (please email the Director of Education for details). · Clinical consultation procedures, diagnosis and treatment as applicable to pure trichologists in professional practice. Hairdressing observation (minimum10 hours) within the student’s local hairdressing salon is required during the period of study (details should be submitted). The areas of interest are: chemical procedures including permanent waving, relaxing, straightening, bleaching and colouring techniques. Verification is required. All Students visit London immediately prior to the viva examination held in May. · Consultations with new patients. · Recommendations as to treatments (where indicated). · Executing any recommended treatment. · Expert witness report writing. · Presentation of Diplomas in a traditional degree awarding ceremony. Graduands/Student Members are encouraged to attend at least one of these splendid events held in London annually. Any recent Dermatological reference volumes. Please make full use of the Internet as your primary research facility . STUDY ASSISTANCE (via e-mail): Anytime with the assigned Mentor – or with TTS Office. The Society encourages its graduates to maintain, update and share knowledge and experiences, and where possible to attend any of the Continuing Professional Development Seminars (four or more held annually in UK). Members are also encouraged to assist each other by the exchange of information, and to support The Society through the submission of appropriate academic articles for publication on the web site. Reasonably priced accommodation (to be funded by the student) can be arranged via The Society at a local Private Hotel (please email Registrar with any requests). N.B. As you will see from this overview, practical experience is an essential factor of this course. If you are able to arrange to study the practical aspects of the course with a dermatological establishment / hospital of which The Society approves locally to your home, you will only need to visit London UK for the final tutorials and viva examination which is currently held annually in May. If not, you will need to travel to UK for a minimum 14 day period of clinical experience prior to your final examination. If you wish to enroll please email TTS Office for an application form or download it from the Education pages, complete and return it by email. If you would like to speak to The Society’s Registrar (Mr B Stevens) regarding this matter, he will be pleased to do so at length (telephone 01708 728980 or +44 1708 728980) Tuesdays or Fridays between 9 am – 7.30 pm GMT. © The Registrar – The Trichological Society.